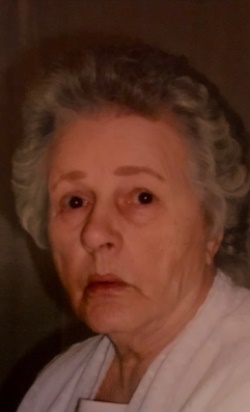 Obituary for Ann M (Patient) Maynard | Boucher Funeral Home, Inc.
Ann M. (Patient) Maynard, 81, of Gardner, died suddenly Friday, January 11, 2019, unexpectedly in her home. Born in Leominster on October 2, 1937, she was the daughter of the late Wilfred and Marie (Brown) Patient. Ann graduated from St. Cecilia’s High School of Leominster with the Class of 1955. She spent her life caring for her family. She loved spending time with her grandchildren and great-grandchildren. She also enjoyed camping, creating puzzles and playing Playstation. Ann was predeceased by her husband, Robert Maynard, who died in 1991. She leaves her sons, Michael Vogel and his wife Debbie of Winchendon, Rick Vogel and his wife Tammy of Templeton, Bill Vogel and his wife Mary of Saratoga Springs, NY, and Tim Vogel and his wife Suzanne of Templeton; daughter, Alesia Austin and her significant other Brian Volk of Jefferson, MA; grandchildren, Michael Vogel, Courtney Lavin, Bill Vogel, Jr., Stephanie Welch, Seth Vogel, Jordan Vogel, Ryan Austin, Melissa Austin and Sara Kennedy; eleven great-grandchildren; several nieces and nephews. She also leaves her ‘adopted son’, James Trifiro of Templeton. Ann was predeceased by her son Eric Maynard who died in 1989; brothers, Herman and Leo Patient; and sisters, Phyllis Perry and Margaret Paris. Funeral Services will be held Wednesday, January 16th at 12:00 p.m. in the Boucher Funeral Home, Inc., 110 Nichols Street, Gardner. Burial will be in Woodside Cemetery, Westminster. Calling hours will be held Wednesday, January 16th from 10:30 a.m. to 12:00 p.m. in the funeral home.